presented Blarney Meals on Wheels with a cheque for €215 recently. 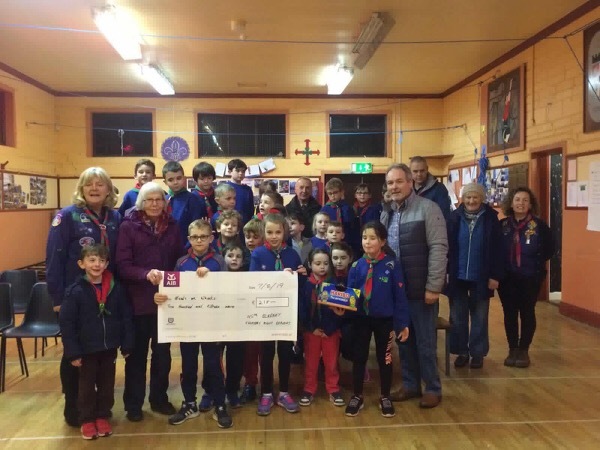 The beavers raised the money before Christmas by carol singing in the village as part of the Beavers community project. Thanks to all the locals who supported them on the night.